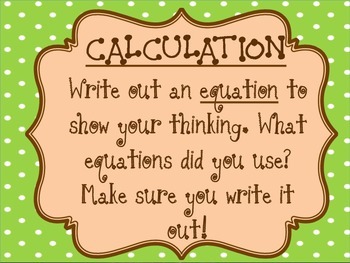 This strategy is very helpful for my students when they are doing any math task. 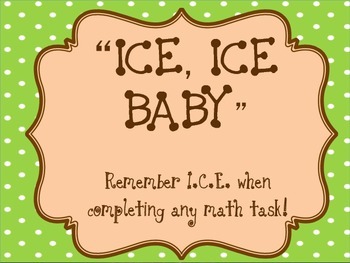 They know that they must have all three elements of the "ICE" included in order to get a complete grade. 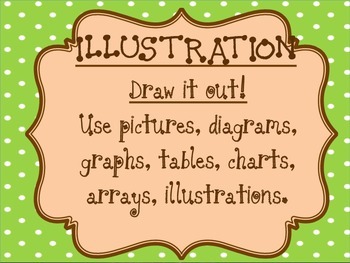 The I stands for illustration, they need to draw a picture, create a graph, array, illustration, images, or any type of picture to help them figure out the problem. The C stands for calculation, the student needs to show a calculation of some sort while solving the problem. The calculation must be some type of equation including an equal sign, and either a +,-,x or / sign. 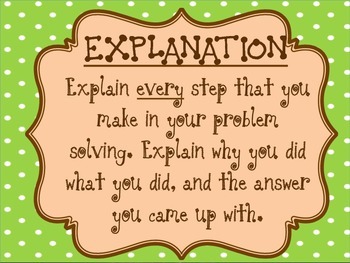 The E is for explanation; the student must explain every step that they take while solving the task. They need to also explain what they did and why they did it. These posters are very helpful for my students in my class, hope they are for yours too!